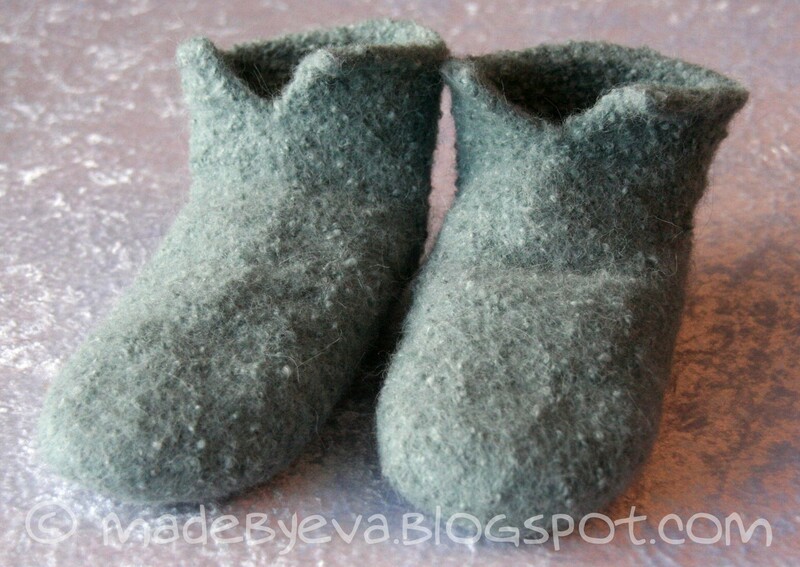 There's one thing I know Kristin needs, and that's felted slippers! So with all the slippers I've felted lately I figured it was only natural to continue the trend for her birthday. The colour choice was mostly decided by the fact that I need more leftovers to complete the wrist warmers currently occupying my dpns... (Here's to full disclosure!) But I had a feeling she'd like them, so that's a win win. :) Details on my Ravelry page as per usual. 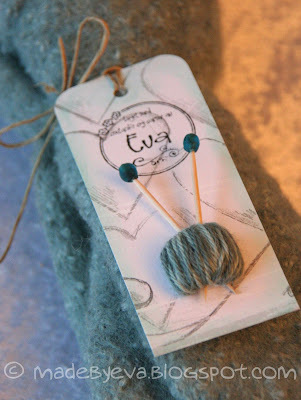 ETA: I forgot to show you the knitter's gift tag/washing label I made to go with the slippers! I've made some of these before too. Love them! Disse var nydelige Eva :-) Har du oppskrift på dem? For en skjønn blogg du har!! og guri så flink du er!! Takk takk Toril! Jeg rødmer her jeg sitter, hehe. ;) Jeg har ingen oppskrift egentlig, bare noen kryptiske notater - jeg har justert denne vanlige sokkeoppskriften og strikker med dobbel tråd DROPS Alpaca på pinne 5. Har lagt inn link til Ravelry-siden nå (glemte det da jeg la ut posten)!